I feel like it’s necessary to preface this article with my personal bias: I love Dragon Age II. I love the characters, the story, the setting, the music—I even love that it’s set in the same city for seven years instead of an open-world map. I’m comfortable saying that Dragon Age II is probably my all-time favourite game. However, it’s been (forcibly) brought to my attention (multiple times) that not everyone feels this way about it. Don’t get me wrong, I understand a lot of the criticisms. People often cite the recycled maps and various glitches as reasons for disliking the game on a technical level, and I can’t argue with that. If you’ve seen one mansion layout, you’ve literally seen them all. Clearly the architects of Kirkwall were sleeping on the job. 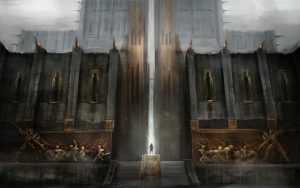 However, people have also criticized many of the fundamental narrative elements of the game, often simply for not following the precedent set by the sprawling world-exploration RPG Dragon Age: Origins in 2009. In place of a warden for whom you can pick one of six different backstories, you have Hawke: A refugee fleeing their country of origin to a single city state. The decisions you make throughout the game simply don’t have the same world-changing impact of Origins, and many often lead to the same—usually tragic—results. I could go into a whole deep-dive as to what constitutes a Dragon Age game, but with an eye on the word count I’ll try to keep things simple. For many people, BioWare games are about consequences. Because the decisions you make as Hawke largely do not result in any vast consequences for the whole of Thedas, and the actions Hawke takes that do impact the rest of Thedas are somewhat pre-set, the assumption seems to be that consequence doesn’t exist in the world of DA2. That wasn’t my experience with the game. What I found was in the stricter narrative of DA2, the focus shifted from the impact one person’s decisions and actions could have on the whole world, towards the impact that one person’s decisions and actions could have on other people. It’s a far more personal story in this way, and one that has stuck with me since I first played it in 2015. If you haven’t played Dragon Age II yet, I’d highly recommend stopping here because there are spoilers ahead! The first thing to understand about DA2 is that the development time was insanely limited. 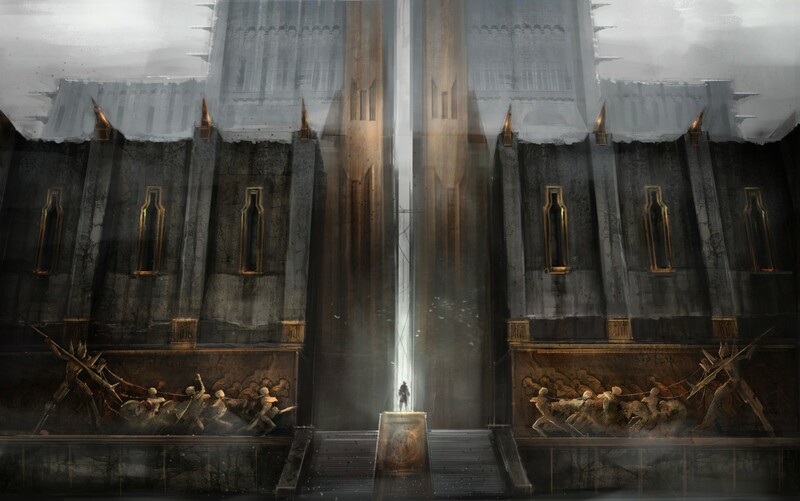 Where Origins began initial development in 2002 and was released in 2009, DA2 was given only 12 to 14 months from beginning to end for production time. Within these limitations, the developers came up with an ingenious framing device: Dragon Age II is a story being told by an unreliable narrator, Varric Tethras, your best friend. It’s a champion’s tale in three acts, taking place in the same city over seven years. This allowed the developers to make amazing narrative use of limited worldbuild, where instead of seeing new people and places, you come to know your companions and the people of the city as well as you might know your own friends and neighbours. The way your companions grow and change over the course of the game is largely dictated by how you treat them. Unlike the largely supportive companions of Mass Effect, with their loyalty in Mass Effect 2 a simple on/off switch dictated by a single character mission and one or two dialogue trees, your friends in DA2 are very clearly living their own lives with or without your approval. In my first playthrough, I lost Isabela halfway through the game because her approval just wasn’t high enough (by five points!) for her to return to the city to defend me from the Arishok after stealing the Tome of Koslun. Every companion you take into the Fade with you during the “Night Terrors” quest will betray you, no matter how high their approval (except Anders, but only because he has Justice’s protection). You can lose nearly every single one of your friends and family in this game depending on your choices. Will the world of Thedas end because of this? No, but having to battle and kill companions who’ve fought by your side for six years is a potentially devastating personal consequence for not taking the time to get to know them better. The use of unreliable narration as a framing device is also fascinatingly creative. Varric sometimes hijacks the story from you, in one memorable quest taking out an entire mansion of mercenaries single-handed to come face-to-face with his treacherous brother, weeping and begging for forgiveness, only to reveal that that particular venture ended far less triumphantly than Varric initially lets on. You’re never entirely sure if what you’re playing through happened exactly as Varric seems to be describing it, or if he’s simply dressing up what is on the whole a tragedy of Shakespearean proportions. This is the crux of my defence of DA2, when it comes to the impact of your decisions. The criticism that your decisions throughout the game largely have no effect on either the ending or the implications it has for the rest of the Thedas is, in my opinion, somewhat missing the point. Many fans have pointed out that Dragon Age II is ultimately a tragic story. No matter the decisions your Hawke makes throughout the game, they cannot stop Varric’s brother from bringing red lyrium to the surface in Act I. They cannot save the Viscount or his son in Act II, and try as they might, they cannot stop the Mage-Templar war from breaking out in Act III. Hawke is a tragic hero, perceived as wielding a mythic amount of world-changing power and ultimately changing very little. If anything, it’s a subversion of classic RPG narratives, which is a pretty ambitious thing to try to pull off in a relatively small game that was given only a year to complete. If you don’t like Dragon Age II, that’s honestly fine—I don’t see the point in trying to force people to enjoy something just because I do. However, I do think the game receives far more criticism and a few more eye-rolls than it really deserves. It’s a game that truly means something to a lot of people, despite its flaws. And honestly, I dare you to listen to the Dragon Age II end credits version of Florence + The Machine’s “I’m Not Calling You a Liar” without feeling something. I double-dare you. It just can’t be done.